This quilt was painted in remembrance of Steve, who passed away on January 2, 2010. 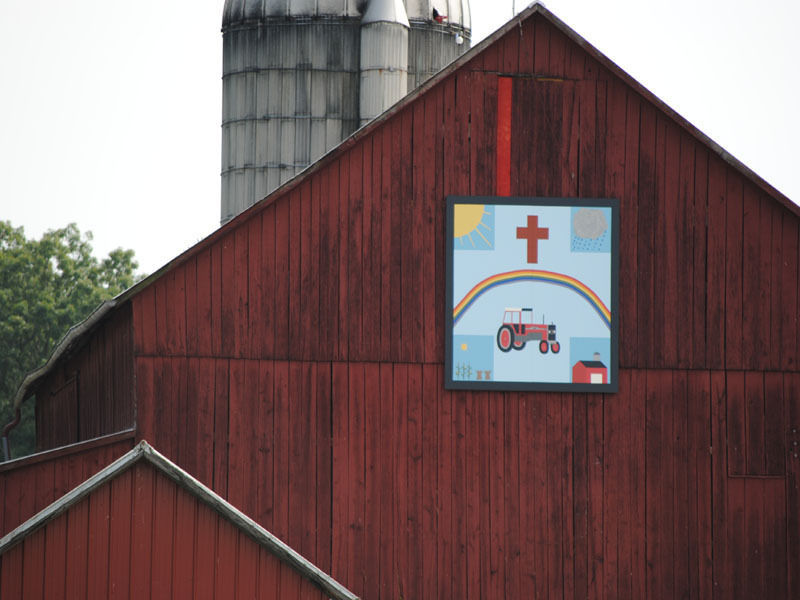 Part of the quilt symbolizes Steve’s love of farming - from the crops he grew to his beloved Massey Ferguson tractors. The sun represents the love that Steve shined on all of his family. The barn painted on the quilt portrays the barn on the family farm. The cloud and rain expresses the sorrow that came in losing Steve but then realizing there is always a rainbow after every storm. The cross shows our love of God and the hope that we will all be together again someday.